Winter can be the most challenging for photography, but also the most rewarding. Michigan holly in a snowstorm. Snowflakes add to a winter scene of Michigan holly. It was snowing quite heavily when I took this photograph. I have actually been waiting weeks for these conditions. 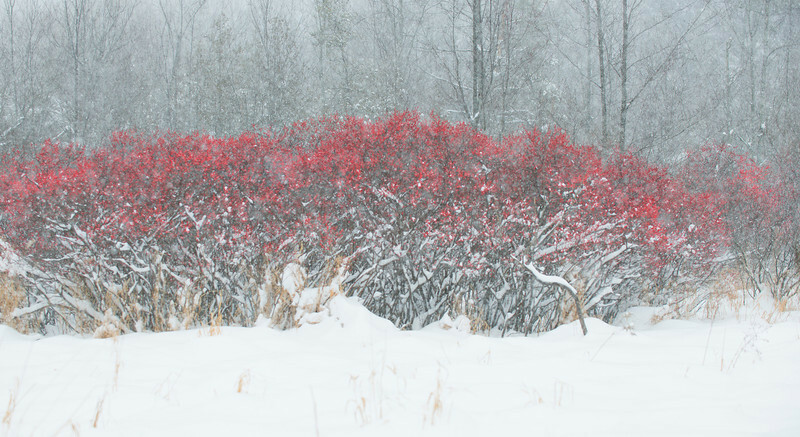 The snow just makes this image different and the red on the Michigan Holly really stands out.